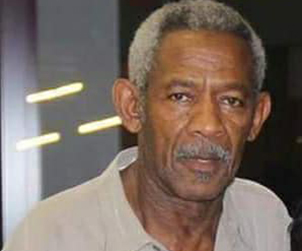 KINGSTON, JAMAICA – The West Indies Players’ Association (WIPA) extends condolences to the family and friends of Desmond Lewis, who was a former Kensington, Jamaica and West Indies cricketer. Desmond Michael Lewis, born February 21, 1946, was a wicketkeeper batsman who played three (3) Tests for the West Indies, scoring a total of 259 runs, at an average of 86.33, with a high score of 88, along with 81 not out in his first Test and 72 in his final. Lewis, who incidentally died at the age of 72, was living in Atlanta Georgia in the United States at the time of his passing. WIPA’s President and CEO, and 2nd Vice President of Kensington Cricket Club, Wavell Hinds, extended “condolences to the family and friends of ‘Dessie’ as he was affectionately called. It is always very difficult to lose a loved one, but thankfully we can still celebrate his life and his achievements. Desmond’s contribution to Kensington Cricket Club, Jamaica and West Indies cricket on and off the field will live on for a long time”.